We’ve added a powerful new feature to Harpoon with the introduction of recurring invoices. Recurring invoices are invoices that are automatically generated and (optionally) sent to your clients at set intervals. Here’s how they work. When viewing your main Invoices overview screen you’ll notice a new “Recurring” link at the top of the screen. This link leads to a new Recurring Invoice Templates screen. 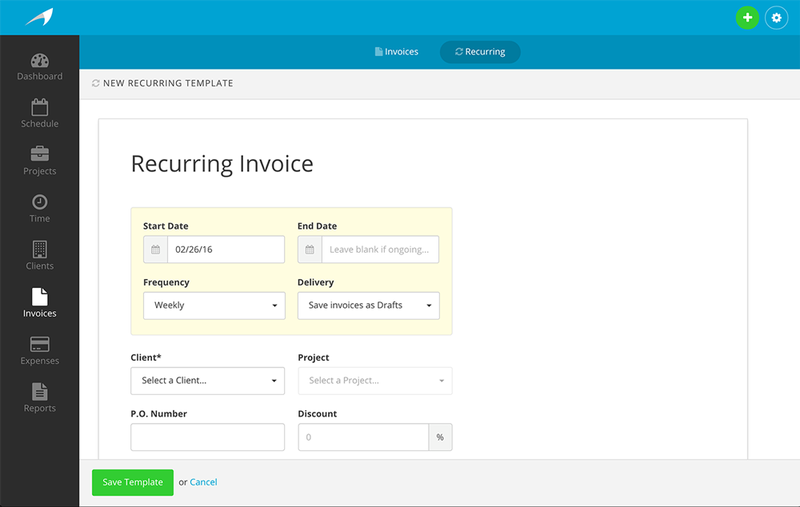 Recurring invoice templates are used to generate your recurring invoices. For example, if you need the same invoice to be sent to your client each month you’d create a recurring invoice template. The template contains all the information Harpoon needs to automatically generate the same invoice each month, and even optionally send it to your client automatically, all without you needing to lift a finger. Start by clicking the “Create New Template” action. You’ll now be presented with the New Recurring Template screen. Creating a recurring invoice template is just like creating a normal invoice, but it includes the addition of some unique information at the top of the screen. This information controls the automated timing and delivery of your invoices. Start Date: This determines the date you’d like the first invoice to be generated. End Date: This determines when you’d like the recurring invoice template to stop generating invoices. If you’d like the template to continue creating invoices indefinitely you can simply leave the End Date field blank. Frequency: How often would you like your recurring invoices to be created? You have a variety of weekly, monthly, and yearly options. Delivery: Here you have the option of having your invoices automatically sent to your clients upon creation. Or if you’d rather send them yourself manually you can choose to have your invoices simply saved as Drafts. Either way you’ll receive a convenient email from Harpoon letting you know that an invoice has been created. The rest of the recurring invoice template is exactly the same as a normal invoice. Fill out the details of what you’d like your recurring invoice to look like, click Save, and your new recurring invoice template will handle things from there, keeping your business running even while you sleep. A bonus feature of recurring invoices is that the expected revenue from these invoices will be included on your Schedule even before the invoices themselves have been generated. This is helpful for getting an accurate glimpse of your financial future as you plan your projects according to your financial goal progress. 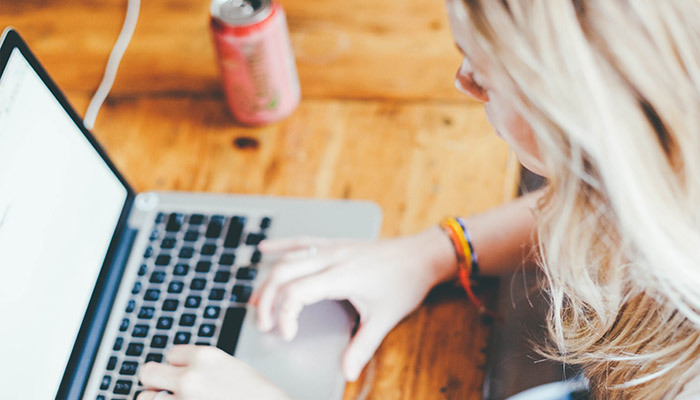 We hope this new recurring invoices feature makes running your business a bit easier, and creates more time for you to enjoy life outside of your business.